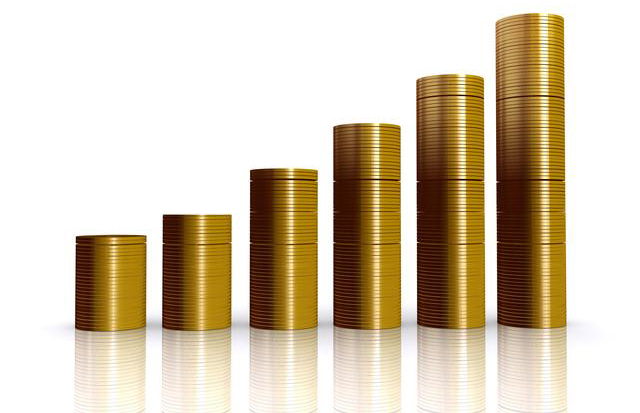 Demand for U.S. Mint bullion coins surged in October, with silver and gold coin sales at their highest since January 2013 and January 2014 respectively. Below are more details on these recent figures for American Silver Eagles, American Gold Eagles, and American Gold Buffalo coins. The U.S. Mint sold an impressive 5.79 million American Silver Eagle coins in October, a 39.9% increase from September’s sale of 4,140,000 coins. This was the strongest month of sales for the American Silver Eagle since January 2013, and the fourth highest since its release in 1986. Year-to-date sales stand at 38.041 million, not far from the all-time annual record of 42.675 million achieved last year. This year’s sales are already higher than the yearly total of all but two years since the coin’s debut. October sales of American Gold Eagles totaled 67,500 ounces, a 16.4% increase from the September total of 58,000 ounces and the best month of sales since the 2014 versions were released in January. 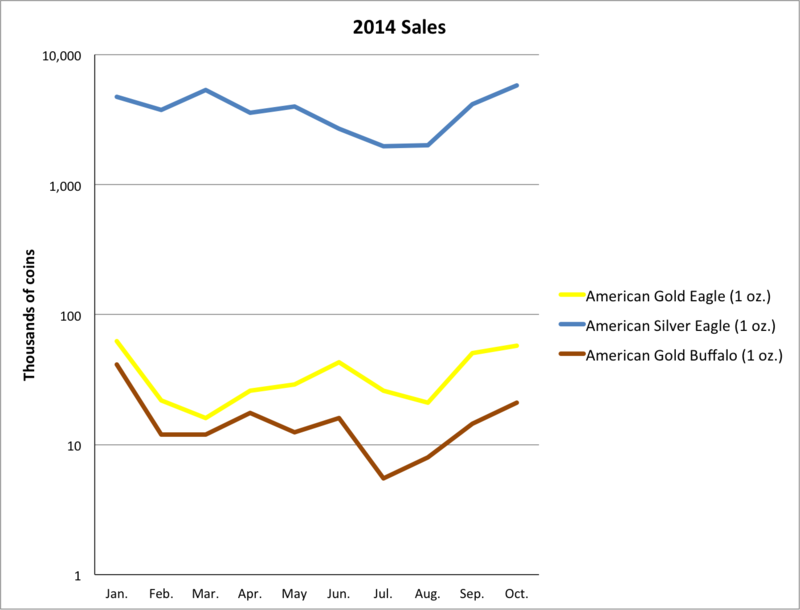 This is also a 39.2% improvement over the 48,500 ounces sold in October 2013. American Gold Eagles are available in 1-oz, 1/2-oz, 1/4-oz, and 1/10-oz denominations, and each size saw a gain in October for the second straight month. American Gold Buffalo sales reached 21,000 coins in October, a 44.8% jump from the previous month and the highest monthly total since January. This also marks a 16.7% rise from October 2013. The IRS allows the above three coins, along with other select precious metal coins and bars, to be put in an individual retirement account through a Gold IRA. American Bullion can help convert your existing IRA, former 401(k), or other qualified retirement plan to a self-directed Gold IRA, hassle-free and tax-free. We also offer a wide selection of precious metal products for cash purchase, delivered safely and securely to your door. Physical gold offers tangible protection and a hedge against the inflating dollar. For more information, call 1-800-326-9598 to speak with a precious metals specialist.